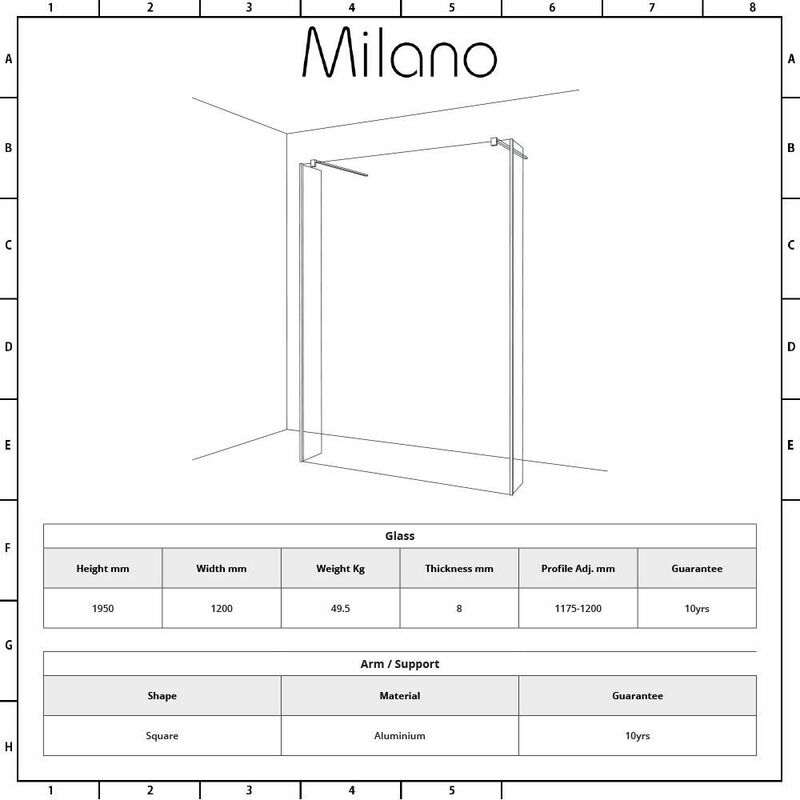 The Milano three piece floating glass 1200mm wetroom shower enclosure with fixed shower arms is a stunning way to add designer styling to your bathroom or en-suite. 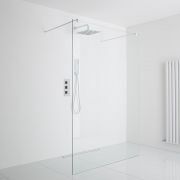 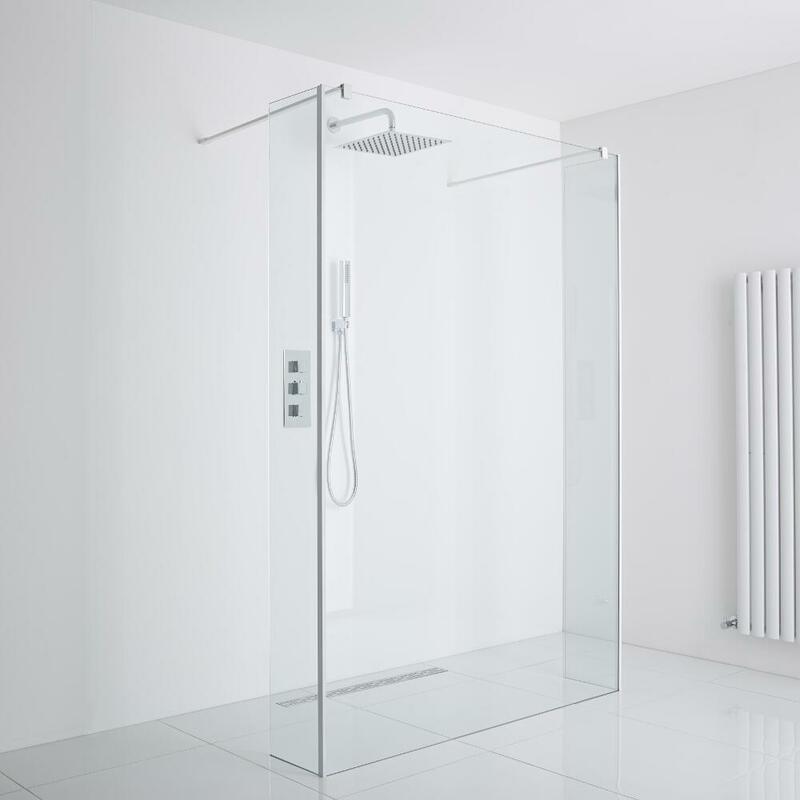 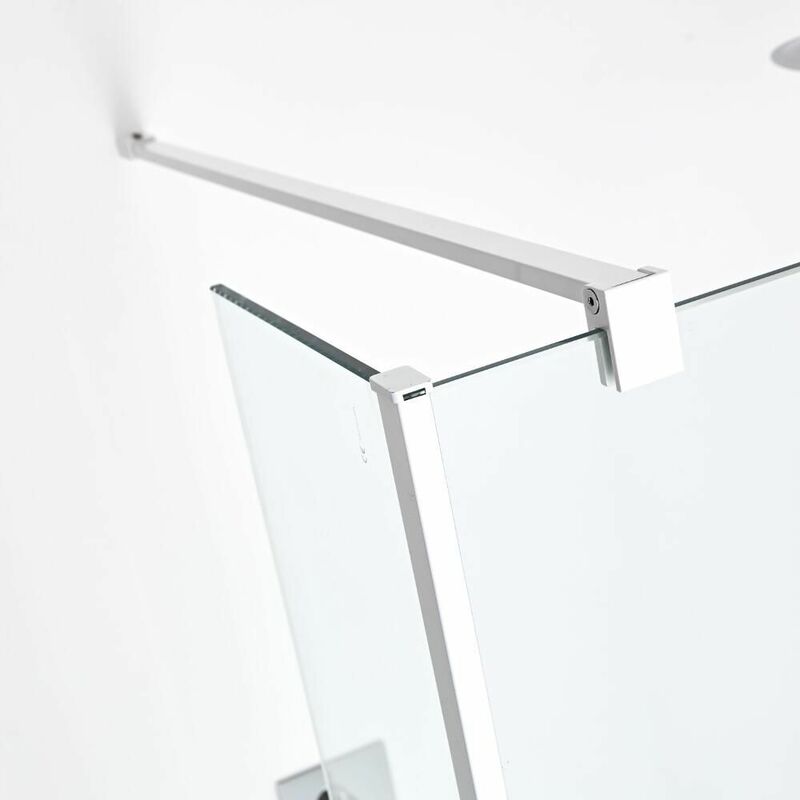 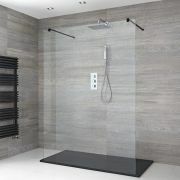 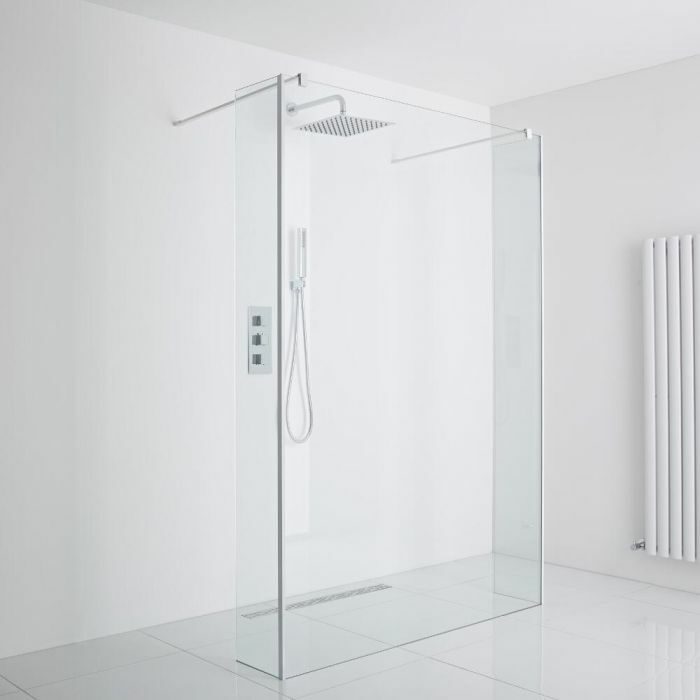 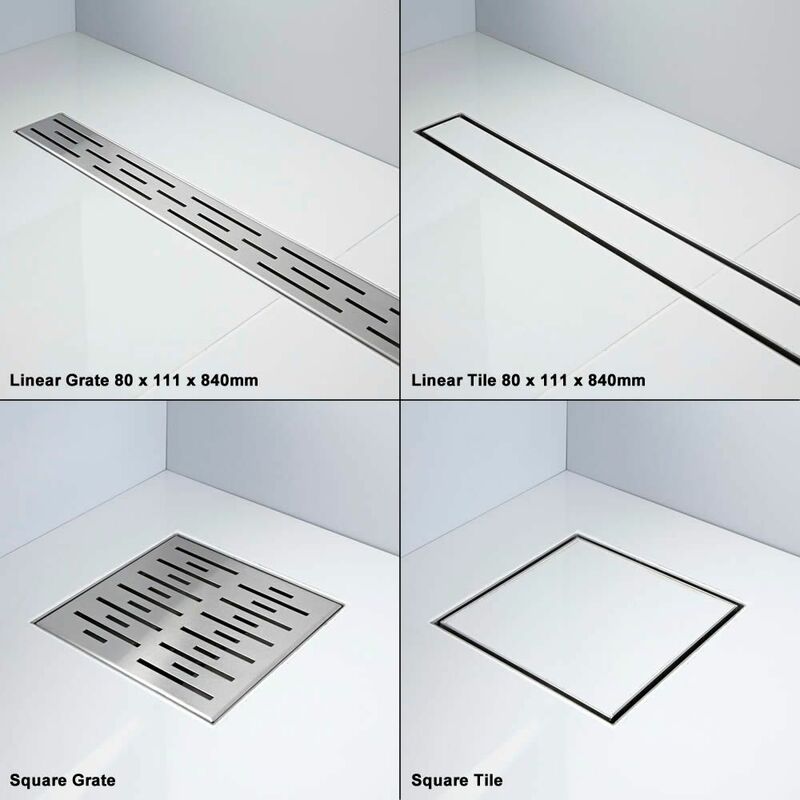 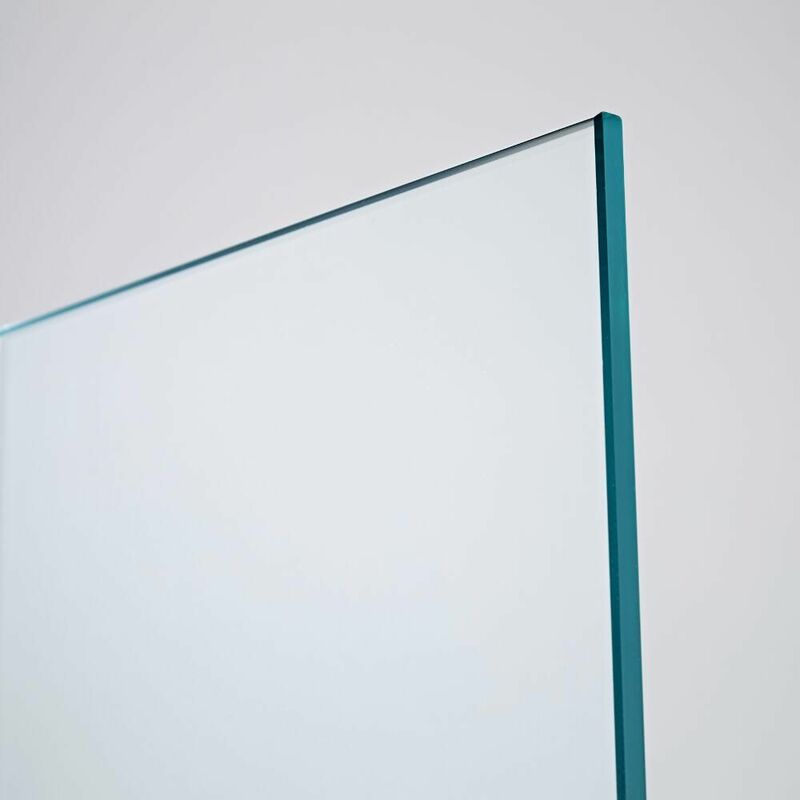 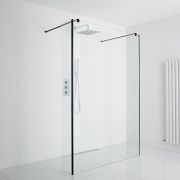 Providing easy access in and out of the shower, this floating glass enclosure features 8mm toughened safety glass with an easy clean protective coating, a choice of drains to suit your style. This floating glass enclosure comes with 2 fixed shower arms and a choice of waste - please select your option from the drop down menu.